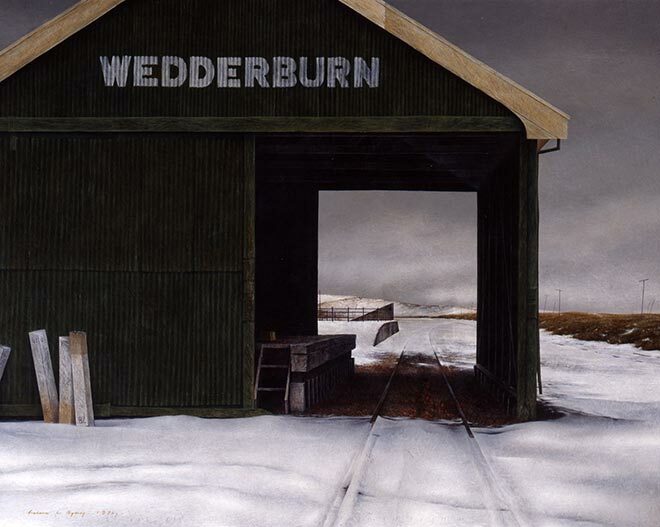 Born in Dunedin, Grahame Sydney has spent much time living in Central Otago, which is the subject matter for many of his paintings. They are often super-realistic and feature spacious skyscapes, rolling hills and old buildings. Sydney also produces lithographs and photographs of the region.